Reading crazyguyonabike.com, hosting a tourning cyclist (see previous journal entry), and having a friend begin her bike tour this week, I can't shake the idea of taking off for a couple of days. 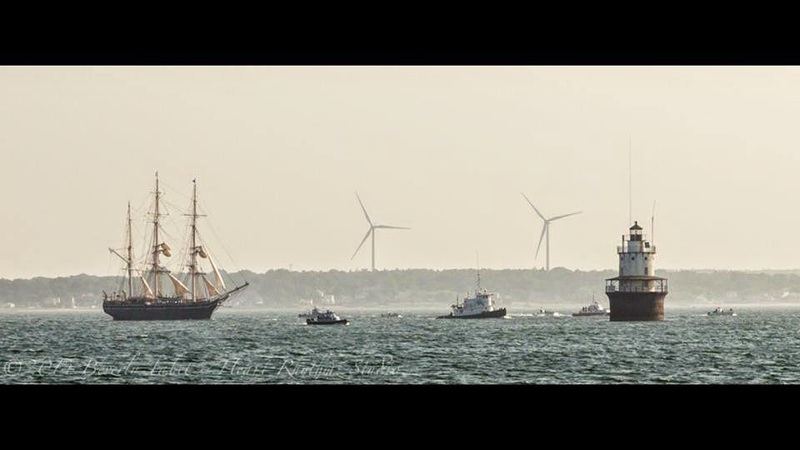 The original plan was to get to NYC and ride back home to the south coast of Massachusetts. Logistics of getting the bikes to the city using a bus or train we getting pretty involved. Perusing crazy guy and lo and behold, this journal is featured. It begins 35 miles from my home and it sets of the light bulb. Why not a weekend tour close to home. After all we live right on the ocean and there are some great possibilities. Next weekend Brandon and I will set off from Fairhaven, Ma to Cape Cod. Well will cross the Bourne Bridge, ride the canal service road/bike, walking path, to Sagamore, and follow rt, 6A to somewhere on the Cape. We'll decide that when we get there. Our tour last year on the Erie Canal taught us that planning on a bike ride does not work out that well. We will leave Friday afternoon, ride 30-50 miles, get a campsight then ride home Saturday, in time to be home for the weekly dinner with the Johnsons. 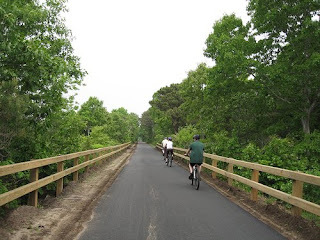 Use the NBW Cape Caper ride # 130 for the part in Sagamore. Go over the boardwalk, it's beautiful there. Sounds like a great way to spend the weekend! Enjoy yourself and hopefully we will see lots of pictures! If you love thin crust pizza I highly recomend Sweet Tomato on RT 6A. Fantastic! Yeah, I found out trying to live up to my grandiose plans while sitting in the living room planning the route was not working out when I went on the tour. I learned to plan a general direction and rough route, but be ready to change it on the fly. Have fun. Looks like a good one. I'll be looking forward to a report. I've been reading lots of crazyguy reports lately. Fall seems like a good time for it. A Day in Boston and the Harbor Islands.